The last set of teeth to erupt is the wisdom teeth. They are called such because they appear at a later age, usually around 17-25, an age at which you have supposedly acquired wisdom. Not everyone has them, and even if you are without them your teeth function properly. A wisdom tooth extraction is a common dental procedure. Extractions are performed so that a wisdom tooth will not compromise your oral health. Read on to learn more of the different wisdom tooth cases leading to extraction. A wisdom tooth may have the following issues leading to their removal. There are cases when the jawbone does not have enough space for all your teeth, including the wisdom teeth, to fit in. When this happens, the erupting wisdom tooth pushes its neighbouring teeth to break out. Pain and bite problems are two of its results. Due to the lack of space and the wisdom tooth pushing other teeth, teeth alignment can also suffer. Previous dental work such as orthodontics can also be affected. A gum flap is a small gum tissue covering the wisdom tooth. This is not painful, nor will it cause any bite problem. But the flap can trap food which, if unremoved, can lead to tooth decay. A newly erupted wisdom tooth sometimes has cysts form around it. The cysts can hollow out your jawbone and damage the nerves. 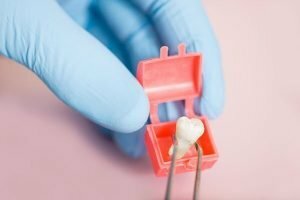 What Happens If A Problematic Wisdom Tooth Is Unremoved? Once your dentist recommends wisdom tooth removal, it is important that you follow it. Otherwise, your oral health can be compromised leading to costly dental treatments. Left unattended, a problematic wisdom tooth can cause pain, swelling, bite problems, overall inconvenience, and general health problems. The wisdom tooth removal procedure takes utmost caution. The operation takes around 45 minutes. Your medical history will be checked before the procedure to ensure safety and avoid complications. An X-ray will be taken to determine how to extract the tooth. An incision may be made in the gums. Just as with all dental treatments, there are certain precautionary measures after your wisdom tooth removal. We have listed some of the dos and don’ts after the surgery. To minimise swelling on the aching area, use a cold compress. For a sore jaw, use a moist heat. Exercise your jaw by gently closing and opening your mouth. Refrain from eating hard foods, and eat foods like rice, soup, or pasta. Refrain from eating hard and sticky foods. Avoid using straw in drinking. Sucking may loosen the blood clots that help the healing process. Avoid rinsing your mouth too briskly. Avoid smoking,this slows down healing. Ask your dentist today about your wisdom tooth. Ria Family Dental follows a stringent guidelines in all our dental treatments including wisdom tooth extraction.